Greetings from sunny Shenzhen, just north of Hong Kong. I’ve spent some time in Asia – at least the tech centers – and have never found a place like this. It’s like Blade Runner meets 1990s Prague meets the end of the world. I’m here to report on what’s going on here in terms of electronics and how it’s changing the way we think about price, cost, and value. It’s pretty crazy. Thirty years ago Shenzhen was a rice paddy, a town of about 50,000 souls. Today it is a hive, and a dirty one at that. Smog is a way of life. As the sun goes down over the city, the streets take on an amber cast and the darkness falls quickly. There are no picturesque sunsets here. I’ll be writing up some of my experiences next week but today I just wanted to talk about a few observations that have shed light on some of the habits and customs that I see big companies cleaving to even in the face of obvious consumer outcry. While I can’t pretend to know the city I have seen where much of the high tech sausage is made and it is fascinating and, at times, devastating. 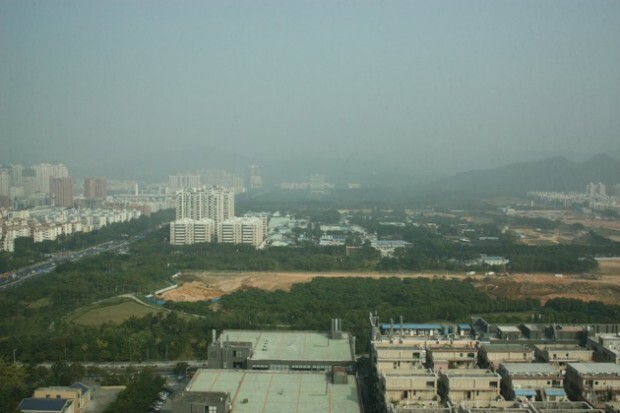 Shenzhen and the surrounding cities are boom towns, albeit boom towns of 14 million plus people. All of these people are dedicated, in some way, to the manufacture of items we at CrunchGear write about every day. If it has chips and a case, someone here is building it. There is lots of money to be had in this business and there’s lots of money to be had in the brokering of jobs between suppliers and distributors. We believe that machines make our machines. This is not true. Humans make our machines and they work long hours for a bit of comfort and an increasing wage. If you think your laptop or even your USB keys plop out like fully-formed electronic fetuses, think again. Each device we own has been touched by countless human hands in the process of prototyping, PCD manufacturing, casing, embossing/printing, and packaging. We forget this truth at our peril. There is nothing particularly wrong about what’s going on here except for the apparent obliteration of breathable air and the potential safety risks presented by the extremes of the city. On one hand you have smooth, beautiful five lane highways stretching out into the suburban manufacturing centers. On the other hand you have unlit roads lined with dorms where those selfsame manufacturing employees live with their families. Walking home is clearly an exercise in fear control. Again, I can’t pretend to know this place but it’s a place I’m glad I’m seeing. I’ll have a series of articles coming up next week featuring some of the characters I met out here. This is where the things we desire are made, and, as it goes with most objects of desire, the costs of these things are high and getting higher.